As most of you would know, only 41 of the existing 45 Victorian National Parks currently qualify for the World Wide Flora Fauna (WWFF) program. 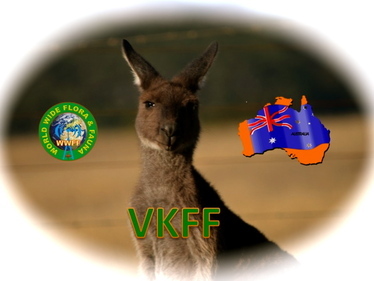 The reason being, is that all parks created/gazetted after 2008 are not on the VKFF list. In fact when I took over as the WWFF co-ordinator back in March, 2013, there were numerous Australian National Parks ‘missing’ from the WWFF Directory. Those ‘missing’ parks had been gazetted prior to 2008. There is a 50%, 75%, 90% activated rule in the WWFF global rules. In other words, when a certain % of parks have been activated, the National co-ordinators can apply to have extra parks added. 90% = up to 90 new references. This is based on activation statistics that appear in WWFF LogSearch facility. So, you can see the importance of activators providing their logs to me, so that I can upload them to LogSearch. The more activity, the more parks we can have added. I have now applied to have these remaining 4 Victorian National Parks added to the WWFF Directory so that they qualify for the WWFF program. I would also like to point out that the WWFF rules talk about new parks being added once ‘National WWFF areas have been activated’. I have argued that Australia is a unique place geographically, e.g. distance. And therefore, activations stats should apply to each individual State. And not a National level. Below are the stats (as per WWFF LogSearch) of the existing 41 qualifying Victorian National Parks, and how many times they have been activated, and how many QSOs from each park.